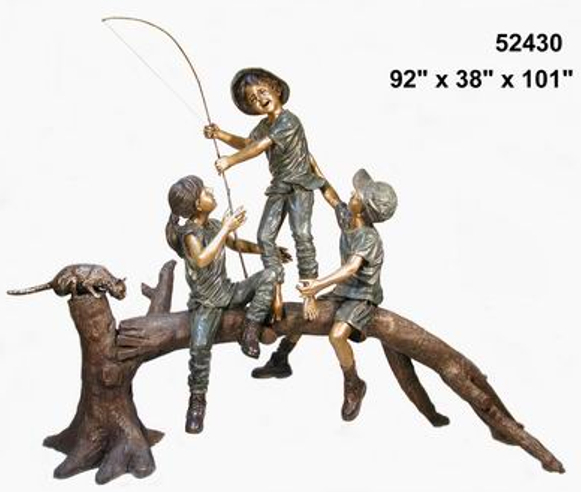 Bronze kids on a fallen tree statue. Rather have it as a fountain? We can do that. Fabricated in the lost wax method and a true work of art. Perfect for your back yard, school, home, office building, lodge, park, resort, convention center, restaurant, shopping center, hotel or any facility seeking a great conversation piece. Makes for a great photo-op. We can modify the statue by changing the total number of kids, gender boys to girls. In most cases, the price will not change. Call us for more options 321 804 4642.